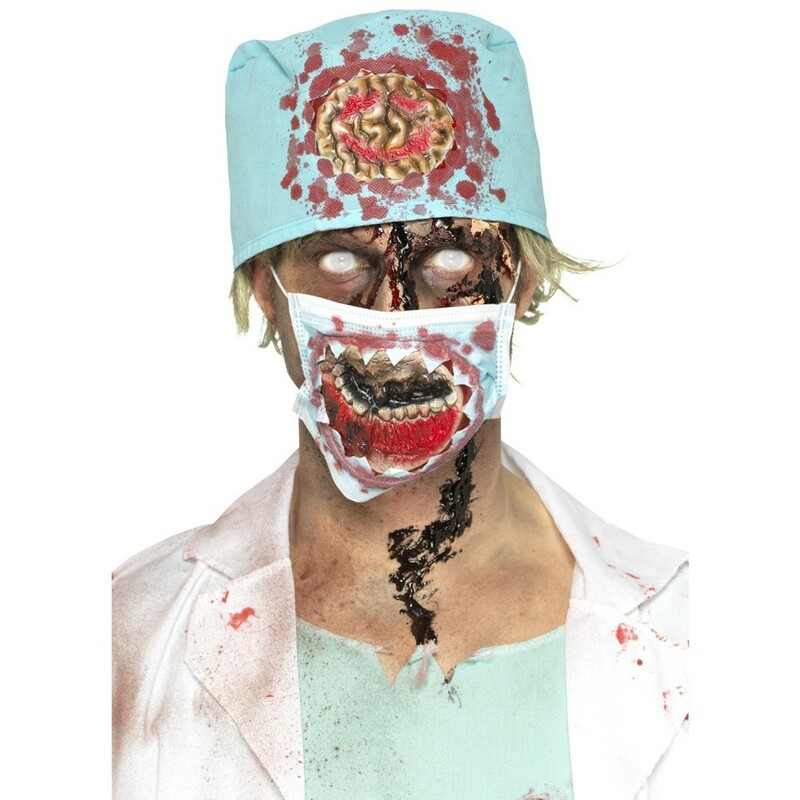 Green doctor, nurse or surgeons kit with hat and mask set and latex effect gory mouth and brains, ideal to terrify the party this year at Halloween! This gory Zombie Surgeon Kit could be used as an accessory to complete an outfit or just on its own! The Surgeon Kit has latex detail that shows a rotten exposed jaw and teeth and if that’s not enough the matching hat on this Surgeons Kit also has latex effect exposed brains! This has plenty of blood already splattered onto it but, you could always add more blood to this creepy Surgeon Kit to give it a more frightening horror effect. A gory surgeon mask and hat with latex detailing.